Give your kitchen that Parisian flair with this glass eiffel tower bottle filled with layers of spices. Maybe empty it and fill with something else. perfect condition and is 13" tall. ooh la la!! 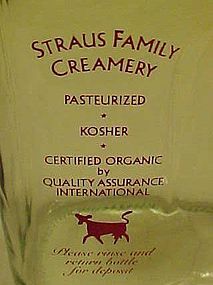 Nice 64 oz glass milk bottle from the Straus Family Creamery in California. Perfect condition with red lettering and cow graphic. says: Pasturised* Kosher* Certified Organic* Quality assurance international Please rinse and return bottle for deposit. Awesome cut swirl design on this pretty lead crystal decanter. Ground glass stopper. Measures 11" tall and is perfect with no nicks or damages. Star cut pattern on the bottom. If you need a special bottle, this is it! 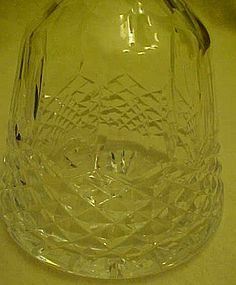 Beautiful cut lead crystal liquor decanter. Made of heavy lead crystal and measures 12 1/2" tall. Almost perfect. One tiny nick on the inside rim of the bottle that is very small. And a few small chips on the bottom part of the stopper which can easily be smoothed out. This is a stunning bottle even with the small imperfections. 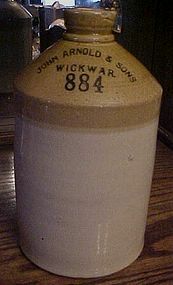 Kerr 1/2 gallon fruit jar, Sand Springs Okla, 1915. 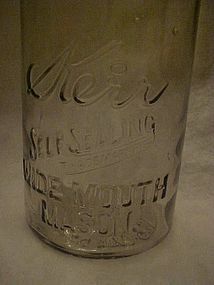 This is an old Kerr self sealing Mason jar. On the bottom of the jar it says: 1915 Kerr Glass MFG Co, Sand Springs, Okla. PAT. AUG 31 1915. The jar has a darkened tint where it has started to turn purple with age, and also a few bubbles. Zinc lid. Excellent condition with no chips or cracks. This is a fine Limited Edition Coors Banquet beer bottle that looks like a baseball bat. The 11.5" tall bottle has the Coors label where the bat label would be and a faux signature of A. Coors on the barrel of the bat. This 12 oz collectible bottle is in great shape with no damage. 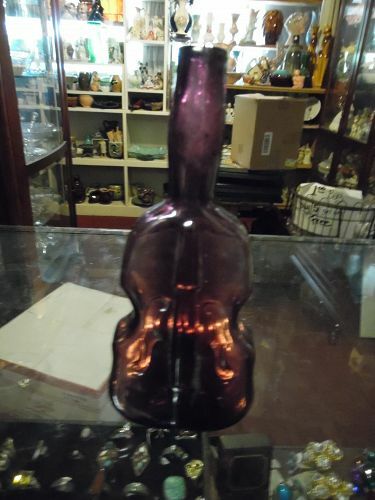 Here we have an old certo bottle that is in very good condition with no chips or cracks.Embossed measurements and instruvtions for i/2 bottle use. Measures 7 1/2" tall. 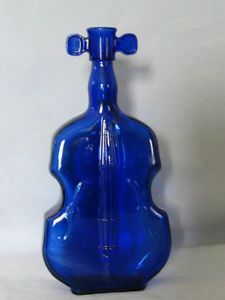 A neat old household collectible bottle. 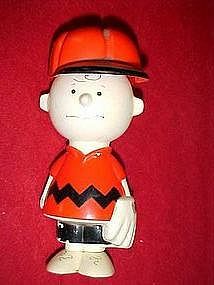 Vintage Peanuts, Charlie Brown avon hard plastic shampoo bottle. Measures 6" tall. Pretty good condition, other than a little black paint chips from his pants and a white strip(factory flaw) on the back of his shirt. Dated 1950 Avon products and contained 4 oz of non-tear shampoo at one time. Joe Cool Snoopy is now into skateboarding. Empty plastic container measures 7 1/2" tall. 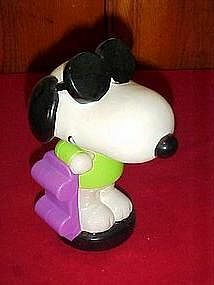 Snoopy stands with his skateboard at one side and wears his cool dark glasses.Excellent condition. This vintage bubble bath container is in wonderful condition. Looks like new! Made by Minnetonka Brands. 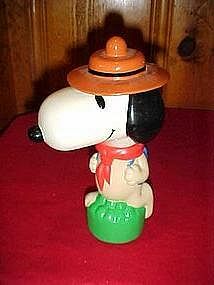 Snoopy is dressed as a scout. Measures 9 1/2" tall. A great addition to your Peanuts collection.